Arya Kills Cersei: How & When (Our Game of Thrones Theory) | Nerd Much? With the April premiere just around the corner and a firm premiere date for Game of Thrones‘ 8th season, I’ve begun theorizing about how it’s all going to end. My first theory: Arya will be the one to kill Cersei. First off, I’d be hard-pressed to believe that Cersei doesn’t end up dead somehow by the time the series ends. She’s the most villainous of all, and although the “good guy” dies frequently in Game of Thrones, the big pay-off is going to be the death of Cersei (I mean, it has to be, right?!?). So, who would be the one to kill Cersei that would be the most gratifying? 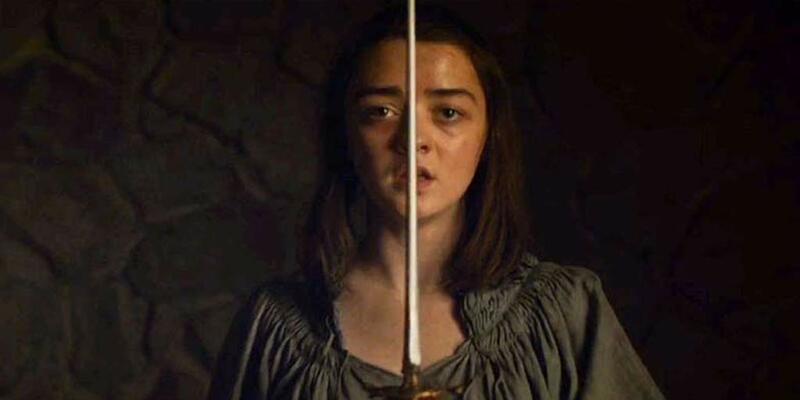 With Arya’s kill list getting shorter and shorter, and some of those kills actually being at Arya’s hand, we can’t help but wonder how many names she’ll be able to cross off of that list before the series ends. And, we’re thinking one of those names is our dear, beloved queen. With there being only 8 episodes left, and the events of the Season 7 finale placing all of the pawns on the chessboard for the next season, we’re starting to piece together the Game of Thrones endgame in our minds — that is, what is going to be the final few moments of the series. I’ve got a theory that involves Jon Snow and Daenerys for the final moments of the series, with Daenerys taking her rightful throne away from the Lannisters, and Jon and the Starks returning to the North to rule in peace. I’ll share that full theory another day, but for now, it’s worth mentioning, because I think it sets up how Arya will get her revenge on Cersei. In the final episode of GoT, I’m theorizing that there will be a final battle between the Lannisters and the Starks/Snow/Daenerys’s army (they’ve aligned with Jon Snow and the north at this point). In that final battle, I believe Arya is going to infiltrate King’s Landing and give Cersei the knife, disguised as someone else. At first, I excitedly thought she could first kill Jaime and then dawn his face, but then I realized that her sizing is all off, of course. Instead, whose appearance could Arya take on to trick Cersei in order to get close enough undetected? I’ve been pondering this question all week, and finally, thanks to one of our editors, Collin, I’ve now got an answer: Qyburn. Qyburn is a frail old man, and it’s possible that Arya could pass as the Master of Whisperers if she were to wear his face. 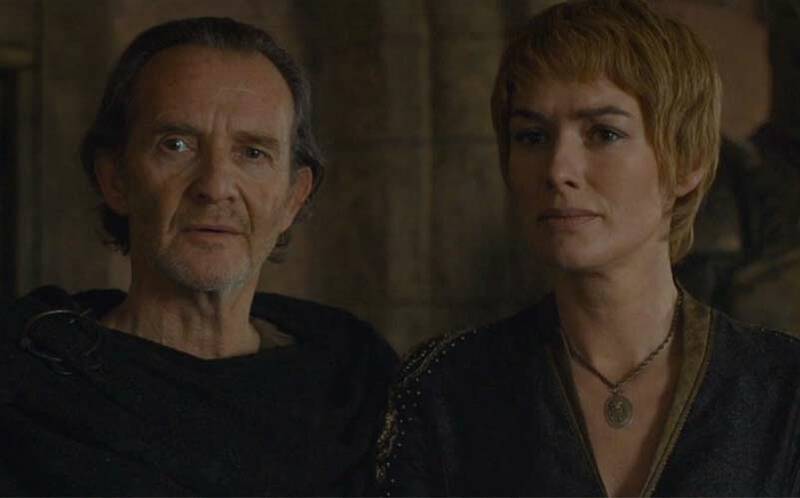 With Qyburn being the only person near Arya’s stature that Cersei at least borderline trusts, I believe that Arya will dawn Qyburn’s face, sneak in closely to Cersei, and reveal herself before slitting Cersei’s throat. Again, this will likely be one of the final moments of the series in Season 8, bringing Arya’s (and the Stark’s) revenge into the limelight. This will allow Daenerys to take the Throne in King’s Landing. I’ll also propose that Daenerys and Jon will marry, and instead of there being a King of North and Queen of King’s Landing, they’ll both rule the entire seven kingdoms together. What are your thoughts? Will Arya be the one to kill Cersei? Are there holes in my plot? Sound off in the comments below.